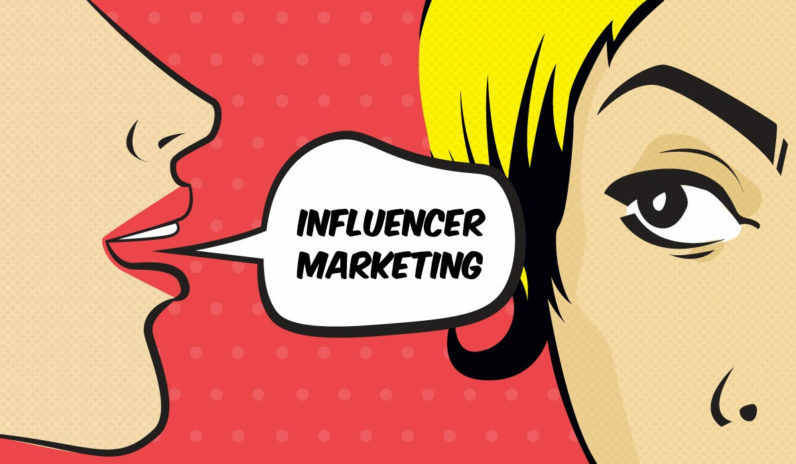 Influencer Marketing is bang for your buck. In less than a decade, Influencer Marketing has become a buzzword every brand is interested in. This article is packed with relevant information on Influencer Marketing, how influencers can tip the scales in a brand’s favor and how they win the trust of potential buyers. After giving a thorough reading, a new brand manager will be convinced why s/he should include Influencer Marketing in his/her brand strategy for the development of a successful brand. The consumer world is cluttered with brands. For every consumer product – from a needle to the nifty and handy smartphone – there is a brand. With so many brands lining up to grab consumers’ attention, a brand manager is in a real fix as to what trick he should employ to connect or engage with the target audience. With the rise of digital media, Influencer Marketing has come into existence. Brand owners found a new and effective way to take their products/services to places. If you are a new entrant to the world of digital marketing, the term may excite you, but Influencer Marketing is an old wine in a new bottle. The new coinage finds its roots in Brand Advocates, which is a popular term even today. Influencer Marketing is gaining momentum and brands too have found it effective; brand managers are now allocating marketing budgets for Influencer Marketing. But the million-dollar question for any new brand manager is: who is an Influencer or how to find an Influencer for his brand? In the business world, an influencer is a person who influences consumers’ buying decision. We are living in a digital era; people search for products and services online. Gone are the days when people used to rely upon the opinion of their neighbors, who already got a product you want to buy for you. Now there is a sea-change in the buying behavior of modern consumers, who read product-related contents on blogs, social media, and e-commerce sites before they purchase anything. Thus, an influencer comes in the picture. Influencers normally are bloggers, who write extensively about different products and services they use. They are active on social media, where they enjoy the status of an industry expert with large fan-following. Netizens religiously follow such influencers and believe their words as an authoritative voice in a particular area. According to Tomoson, 59% of marketers are planning to increase their influencer marketing budgets. This clearly indicates influencer marketing is the fastest growing marketing channel. McKinsey finds that word of mouth is the primary factor behind 20 to 50% of all purchasing decisions. Influencer Marketing gives handsome returns on investment, approximately $6.50 for every dollar invested. According to an infographic created by TheShelf, blogs influence the purchases. The figures clearly indicate that consumers trust influencers more than brands. Consumers firmly believe that branded contents are biased, and therefore, they go online to explore reviews and recommendations from people who are not apparently associated with brands. It is a fact universally accepted that a brand, if not promoted or advertised properly, fails to strike an emotional chord with consumers. And thus, whatever content is created around a brand lacks in spirit and character. Whereas influencers create personal brands and then connect themselves with potential buyers. People believe their words as the content is spoken or written in a unique brio of influencers. The voice they create unleashes phenomenal strength, which hits the bullseye. Selection of an influencer requires an in-depth research. A mere number of followers doesn’t help you choose an influencer for your brand; you need to check other details like how influencers are connected to you; how influencers are connected with your audience; and which influencers match with your marketing goals. Once you select an influencer, it is advisable that you invite him/her to try out a product or service you offer. This will help him create an unbiased content for his blog or social media pages. Influencers can also generate a biased opinion on their social media space. And this will tarnish their image as an impartial judge of products or services. As happened with celebrity endorsement, influencer marketing will have a bleak future if the practice is not done with a remarkable level of integrity. At the end of the day, people are going to use products or experience services; and if they are not happy, they wouldn’t listen to any influencer notwithstanding a charismatic personality. Influencer Marketing is now in its heydays. The statistics show that influencer marketing will continue to flourish in future, provided it doesn’t lose its integrity. What do you say?